Shoppers have mixed feelings about Toys "R" Us' move from southwest Dallas to Cedar Hill. The store at Camp Wisdom and Westmoreland roads is leaving the area around Southwest Center Mall. It is scheduled to take its sales tax revenue five miles down Highway 67 to Cedar Hill. Many shoppers snapping up bargains at the store's 60-percent-off closing sale said they are sad to see it go. "We've lived here for a long time, and I think it's just heartbreaking to see it go downhill," Jerri Belcher said as she loaded toys in her car. 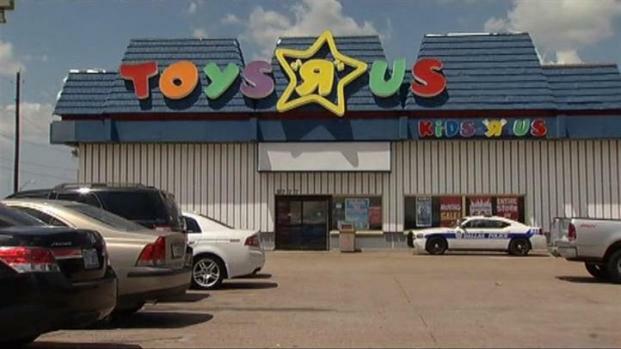 Toys "R" Us is the latest big store to leave the Southwest Center Mall area and head to Cedar Hill. Juan Ramirez said he has visited the store since he was a child. "It's been a long time this store has been here," he said. "But we've got to go to the new spot. The new store is going to be better." The Cedar Hill store will open Sept. 9 in a much newer, more attractive shopping center on Farm-to-Market 1382 next to a thriving Marshalls store. Customers there said they prefer to shop in Cedar Hill. "Everything is here," Dallas resident Barbara Dotsy said. "You don't have much to choose from near the Southwest Center Mall area." "I miss the stores that used to be down there and, with the price of gas, I prefer not to have to drive way over here, but hey, [I] got to do what I got to do. This is where it is," she said. Cedar Hill resident Yvonne Harris said she used to drive to the Southwest Center Mall area in Dallas to shop, but not anymore. "There's no reason at all for me," she said. "There's nothing there I really like." Over the years, Dillard's and JCPenney left the mall for Cedar Hill, along with many other businesses in and around the mall. A Latin-themed entertainment complex called Fiesta Mundo was under construction in the former Dillard's space and due to open in late 2010, but the job was never finished. The space is now boarded up, and the phone number for the business is disconnected. Karl Zavitkovsky, Dallas economic development director, said the company went bankrupt before the project was completed. Fiesta Mundo had no city subsidy but in the past year, Dallas city leaders have discussed making a city investment to help boost the mall. "The city needed a critical mass of owners willing to be invest with us," Zavitkovsky said. "To this point, we haven't been able to accomplish that." "Maybe they should," shopper Jerri Belcher said. "This used to be the area out here, and it's just sad to see it go to rotten ruin." Dallas Mayor Mike Rawlings has made southern sector revitalization a priority for his administration. He received a campaign endorsement from several top ministers and business leaders on April 15 at Southwest Center Mall, where he unveiled his southern sector plan. Rawlings has been in office less than two months. His top aide did not return a call for comment Friday about Toys "R" Us' departure.